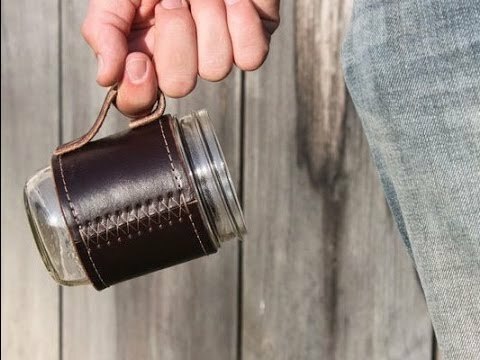 Slips onto a standard wide-mouth canning jar and acts as an insulating sleeve so you can use it for all of your beverage needs. Handcrafted with vegetable-tanned full-grain leather and hand-tapped copper rivets. Each sleeve comes with a wide-mouth Mason Jar. My son is on a Vintage Baseball team and in those days (1860s) the players drank out of mason jars. This was perfect and everyone knows it is his. 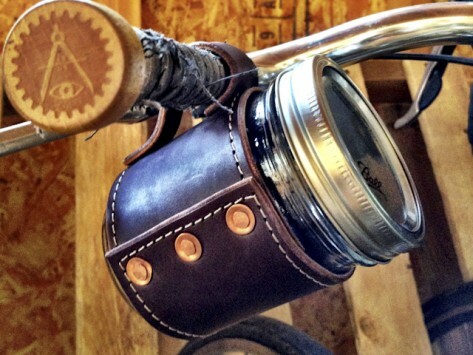 Marsh, who’s the great-grandson of a Colorado saddlery owner, wanted to create a product that feels like it was made 100 years ago, yet has the longevity to last 100 years from now. Mission accomplished.